Welcome to Hartmann Fine Art Conservation Services, Inc. Located in central Pennsylvania, our business has been providing professional conservation management, assessment, and treatment services of the highest quality throughout the United States for over 25 years. The company treats a wide variety of collections, specializing in the conservation of canvas and panel paintings, wall murals, painted surfaces, frames, & painted furniture. We offer emergency and disaster recovery services; environmental monitoring; protection of collections during construction; packing, storage and shipping; exhibition mount making; archival matting and framing; and other related services. Our well-equipped state-of-the-art facility is close to several major highways and is easily accessible by truck. We provide a secure climate controlled museum environment for artifacts in our care and can handle extremely large works of art on-site. We frequently augment our core staff with specialized conservators, technicians and artisans to meet your project’s needs. We welcome work from private collectors, museums, institutions, the insurance industry, contractors, and federal and state governments. The President of our company, John Hartmann, has a master’s degree in conservation and is a Fellow member of the American Institute for Conservation. He provides strong and tested leadership, a track record of successful project management, and advanced treatment skills. He prides himself as being timely, discrete, honest and professional. Our mission is to provide the highest quality professional conservation services for our clients & their artwork based on experience, knowledge, resourcefulness & sound ethics. What’s New at Hartmann Conservation! 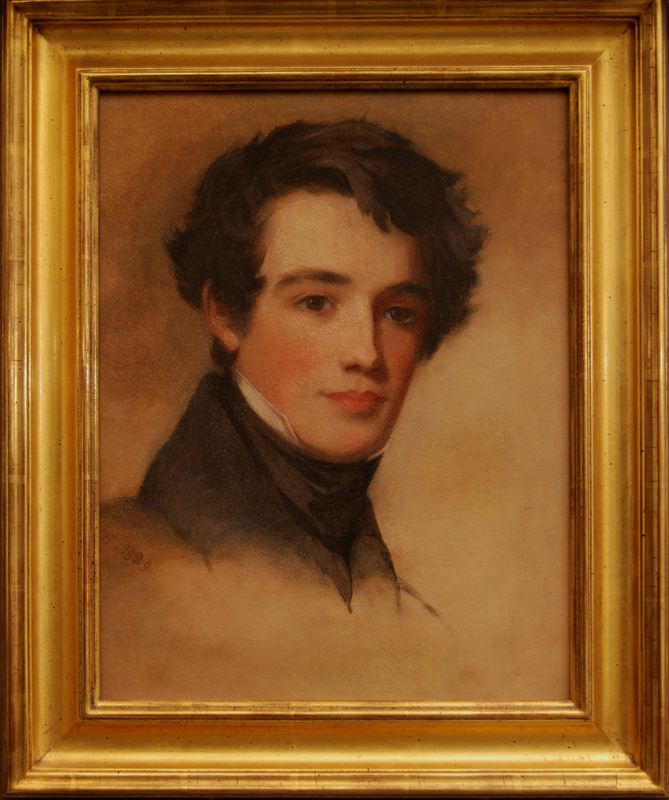 This spectacular painting of John Biddle Chapman, age 18, was painted in 1829 by eminent American portraitist Thomas Sully in Philadelphia. This painting was purchased at auction with an unconfirmed attribution. Its’ owner suspected this was a lost Sully. When examined, it was partially overpainted, had a somewhat strange abraded appearance & the visible “TS” signature was suspect. A small print of this painting was found in a 1922 exhibition catalog. 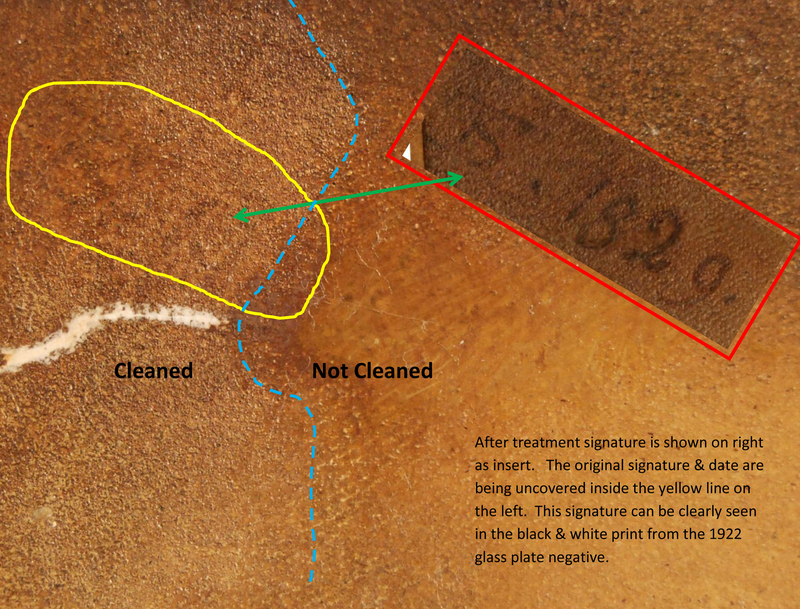 Removal of overpaint in the exact location of the Sully signature in the photography revealed remnants of his true signature. The cause of the “fuzzy” appearance of the paint was unknown. It may have been in a fire. 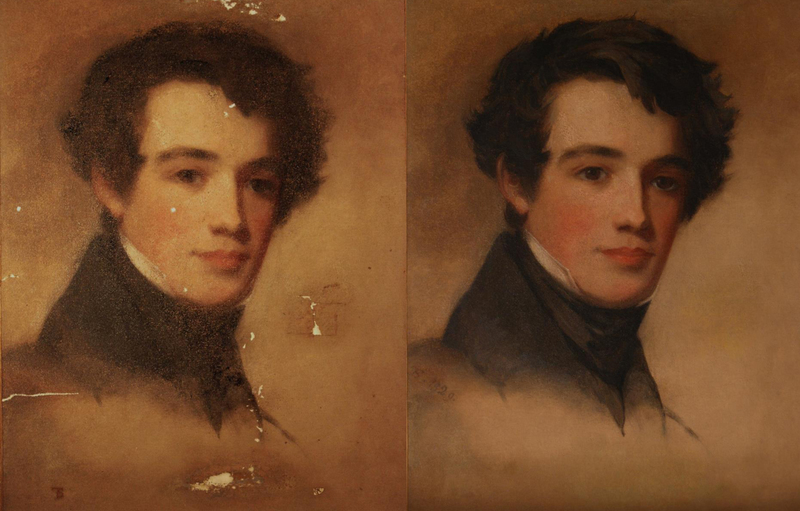 Let us show you the extraordinary transformation of this portrait.